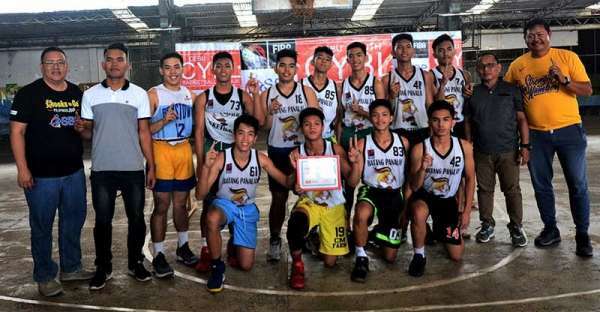 BATANG Panalay and Cebu Institute of Technology-University (CIT-U) won titles in Division 2 of the Cebu Youth Basketball League (CYBL) last Sunday, March 17, at the Sacred Heart School-Ateneo de Cebu (SHS-AdC) Mango Avenue campus gym. Batang Panalay dominated the fourth quarter to beat the Spartans, 55-49, and win the Under-18 crown. Trailing by 10 points going into the fourth quarter, Batang Panalay started the period with a 9-0 run and cut down the lead to just a point, 44-43. Arlindon Ybañez ended the bleeding in the 5:20 mark with a two-pointer, 46-43. Batang Panalay was relentless and used a 10-2 run to take a 53-48 lead and seal the victory. Renzo Gantala scored 14 points to lead Batang Panalay, while Ryan Dizo and Archie Samonte chipped in nine each. RM John Abapo had 12 for the Spartans, while Kevin Gabasa added eight. Meanwhile, CIT-U won the Under-15 title with a 52-43 win over JunMeds. CIT-U was also behind by two points going into the final period. However, the Wild Kittens outgunned JunMeds, 21-10, in the payoff period. Karl Andre Flores scored 15 markers, while Renzo Abines had 13 for CIT-U. Michael Asoro was JunMeds’ leading scorer with eight points. Meanwhile, CYBL founder Rico Navarro is grateful for the smooth running of the tournament despite drawing its biggest entry this year.